Top Rated Local® is pleased to announce that Ryan Erlandsen Photography is a two-time award winner in Washington for 2018! From senior photos and family portraits to wedding photography, Ryan Erlandsen Photography in Vancouver can capture life’s most precious moments. Ryan Erlandsen Photography has received dozens of reviews on five verified sites with an average rating of 4.91 stars, earning them a phenomenal Rating Score™ of 98.13 and two 2018 Top Rated Local awards — one for ranking among the top 100 businesses in Washington and one for ranking among the top 10 photographers in Washington! “Ryan is awesome. He’s personable, friendly and professional. Just tell him your ideas and he takes it up a notch. Ryan did our family photos and we just get tons of compliments. We never imagined they’d really turn out so well. He over delivered by far. I then hired Ryan to do some photography for our business and the end result was equally as exceptional. We did product photos, business headshots and some shots of the office spaces and made our project turn out miles better than using typical stock photography. We couldn’t recommend anyone higher than Ryan.” – Andrew S.
We took a few minutes to talk with Ryan Erlandsen, owner of Ryan Erlandsen Photography, to learn a little more about the business and how he managed to build such an impressive online reputation. The first question we had for Ryan was what sets Ryan Erlandsen Photography apart from the many other photographers in Washington. Ryan points to his years of experience and his knowledge in photography, and told us that choosing an experienced, knowledgeable photographer ensures that you’ll get the best results and a better product. Building Success Through SEO and Reviews. Ryan credits Ryan Erlandsen Photography’s strong online reputation to his website’s strong organic presence due to search engine optimization, as well as tot the many reviews he gets on Thumbtack. 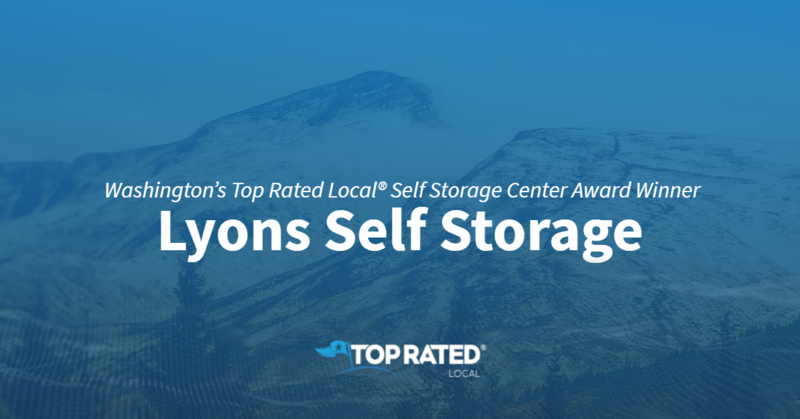 Congratulations to Ryan Erlandsen Photography for being a 2018 Top Rated Local award winner, and thank you so much, Ryan, for taking the time to speak with us! For all of your photography needs in Vancouver, we highly recommend Ryan Erlandsen Photography. Visit their website today! Top Rated Local® is pleased to announce that Weldon Barber is a 2018 award winner for barber shops in Washington! If you’re looking for a barber shop in Spokane Valley that will leave you looking and feeling your best, look no further than Weldon Barber. Weldon Barber has received dozens of reviews on four verified sites with an average rating of 4.76 stars, earning them a superb Rating Score™ of 95.59 and a 2018 Top Rated Local award for ranking among the top 10 barber shops in all of Washington! “Great service, genuine people, and I come out looking and feeling good every time. Get the scalp massage if you go. It’s well worth it, and it makes my head feel like it’s been to the spa.” – Trent D.
We took a few minutes to talk with Ashley Hisghman, Team Lead at Weldon Barber, to learn a little more about the business and how they managed to build such an impressive online reputation. The first thing we wanted to know was what sets Weldon Barber apart from the many other barber shops in Washington. Ashley points to the one-of-a-kind experience they offer, which they cater to every person they are tending to. She also told us that at Weldon Barber, they offer more than just a haircut; they offer an experience, and they want to be their clients’ barber for life. Ashley credits Weldon Barber’s strong online reputation to the fact that their customers are always their number one priority, and they make sure that their customers are happy before they leave the shop. Outside of building a powerful online reputation, Weldon Barber has grown by hiring the right barbers and by making sure that their barbers share the same goal and have a passion for helping people and love what they do. 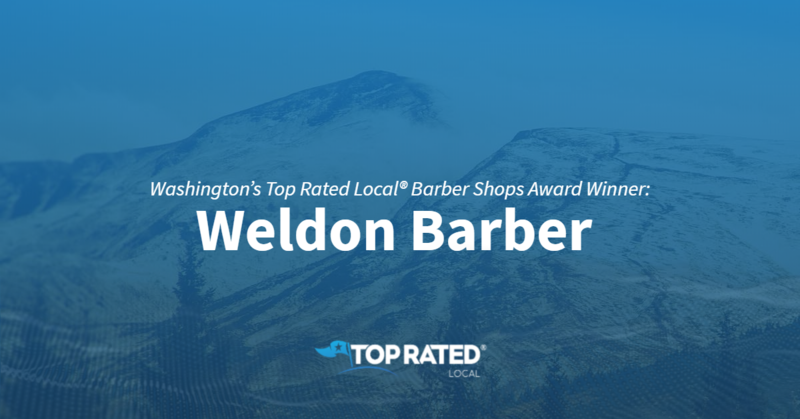 Congratulations to the team at Weldon Barber for being a 2018 Top Rated Local award winner, and thank you so much, Ashley, for taking the time to speak with us! For a great haircut in Spokane Valley, we highly recommend Weldon Barber. Visit their website today! 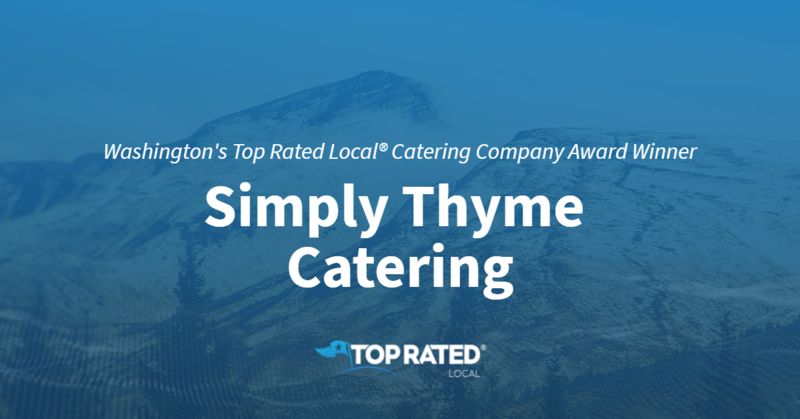 Top Rated Local® is pleased to announce that Simply Thyme Catering is not only one of the top three catering companies in Washington, but one of the top 100 businesses in the state overall! That’s just one of the many outstanding reviews Simply Thyme has received, making them a 2019 top Rated Local award winner with a 96.64 Rating Score™ and a 4.76 average star rating. Tamara Leibfarth, the owner and executive chef of Simply Thyme Catering, took the time to speak with us about her business’ stellar online reputation. Congratulations to the team at Simply Thyme Catering for being a 2019 Top Rated Local award winner, and thank you so much, Tamara, for taking the time to speak with us! 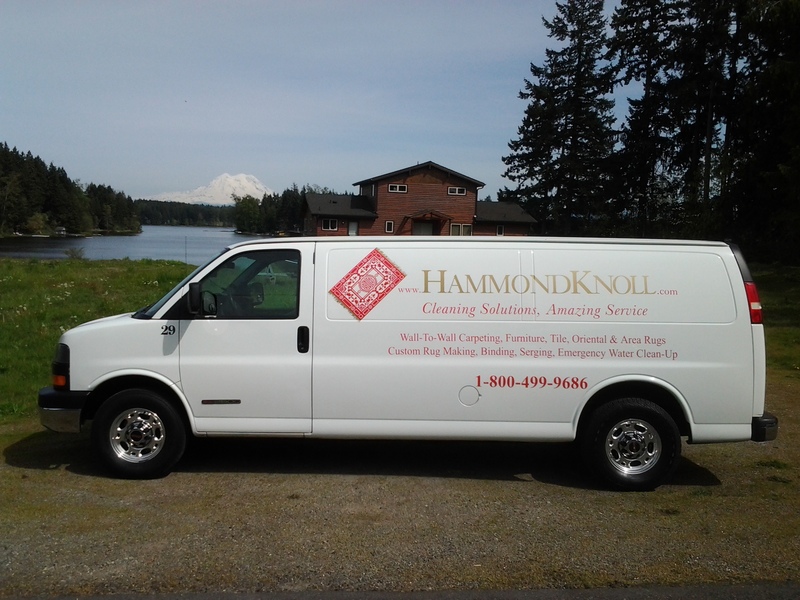 Top Rated Local® is pleased to announce that Hammond Knoll is not only one of the top three carpet cleaners in Washington but one of the top 50 businesses in the state overall for 2018! “Excellent company! Their customer service is simply the best. Their knowledgeable and professionalism is top notch. We can highly recommend Hammond Knoll for your carpet repair and cleaning, as well as furniture cleaning.” -Ingrid T.
That’s just one of the more than 600 fantastic reviews Hammond Knoll has received on verified review sites, giving them a perfect 100.00 Rating Score™, a 4.90 average star rating, and a 2019 Top Rated Local award! Lori O’Haleck, the marketing manager at Hammond Knoll, took some time to speak with us about the business’ success. Congratulations to the team at Hammond Knoll for being a 2018 Top Rated Local award winner, and thank you so much, Lori, for taking the time to speak with us! 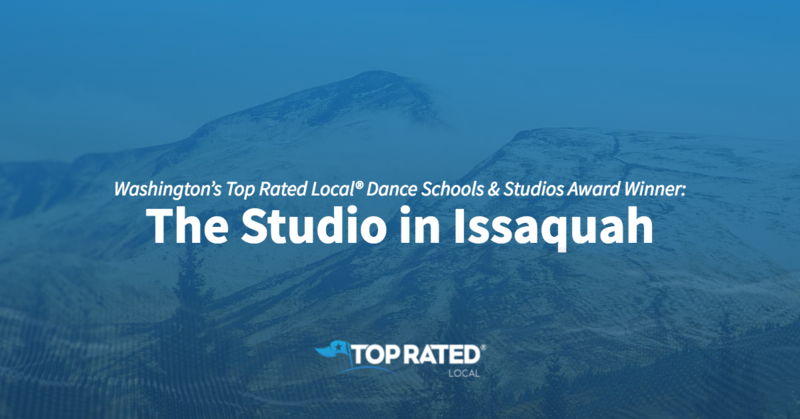 Top Rated Local® is pleased to announce that The Studio in Issaquah is a 2018 award winner for dance schools and studios in Washington! From ballet to hip hop, The Studio in Issaquah has a class for adults of all ages. The Studio in Issaquah has received dozens of reviews on three verified sites with an average rating of 4.87 stars, earning them a remarkable Rating Score™ of 94.71 and a 2018 Top Rated Local award for ranking among the top three dance schools and studios in all of Washington! “I hate going to the gym and wanted to add a fun new activity…to my workout routine. The Studio was the perfect choice. I get a great workout, lots of variety and the flexibility to choose which classes fit my schedule and interests. I have tried 80s aerobics, Zumba, hip hop active and BollyX, and loved them all. The instructors are all so positive and uplifting. So glad I found this place!” – Laura H.
We took a few minutes to sit down with Steven Oelrich, the owner of The Studio in Issaquah, to learn a little more about the business and how they managed to build such an incredible online reputation. The first thing we asked Steven was what sets The Studio of Issaquah apart from the many other dance studios in Washington. Steven points to the fact that they are the only adults-only dance studio. Outside of building a powerful online reputation, The Studio of Issaquah has grown by utilizing social media, Google, Yelp and other platforms, as well as through word of mouth from past customers. Congratulations to the team at The Studio of Issaquah for being a 2018 Top Rated Local award winner, and thank you so much, Steven, for taking the time to speak with us! We highly recommend taking a class at The Studio of Issaquah. Visit their website today. Top Rated Local® is pleased to announce that D B Nails is a 2018 award winner! “[I] got a simple white tip set. I have bigger nail beds on the thumbs and always had an issue getting tips that fit. Well, they had the exact size I needed. I have a feeling that they would have great tip options for acrylic toenails. Overall, [it was] a good experience…they do offer more options, like gel power and polish as well as ombre, which I have heard they do a great job with! [I] also ran into a lady [I work with] there. We both went on lunch. She’s been a customer for years and highly recommends the place” -Kellie S.
We spoke with Doan, the owner of D B Nails, about his business’ impressive online reputation. Of course, we were particularly interested in finding out what Doan considers to be his business’ secret to success. When asked what it is that he believes sets his business apart from other nail salons in the area, Doan credited it to the overall atmosphere of the salon, as well as his team’s high level of experience. “We have a nice-looking salon, and the service is great. People love our clean and inviting atmosphere. We have a lot of experience and knowledge,” he said. 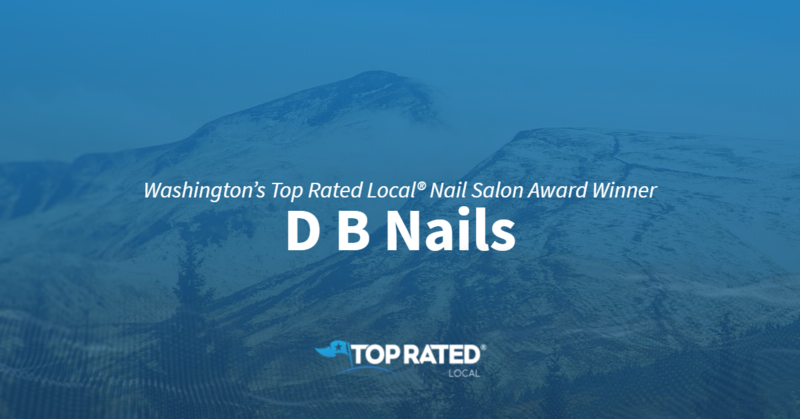 Congratulations to the team at D B Nails for being a 2018 Top Rated Local award winner, and thank you so much, Doan (as well as his translator, Tammy), for taking the time to speak with us! 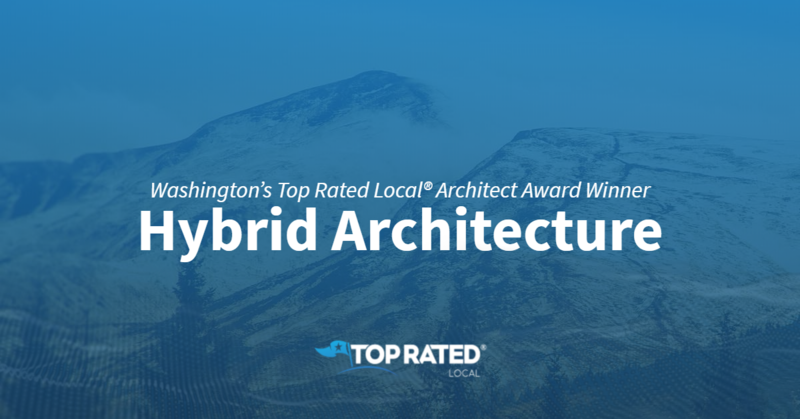 Top Rated Local® is pleased to announce that Skagit Roofing is a 2018 award winner for roofing contractors in Washington! When you need a professional roofing company you can rely on in Bow, you need Skagit Roofing. 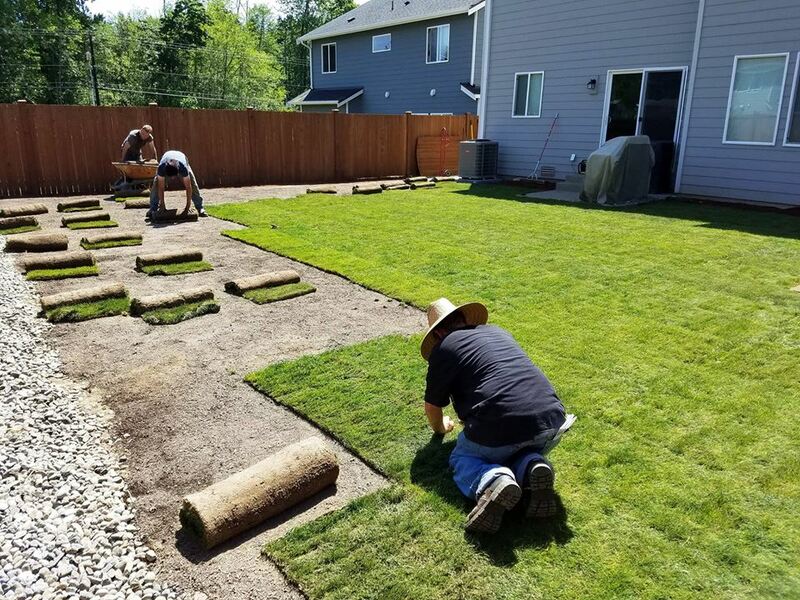 Skagit Roofing has received dozens of reviews on four verified sites with an average rating of 4.84 stars, earning them a phenomenal Rating Score™ of 96.36 and a 2018 Top Rated Local award for ranking among the top 10 roofing contractors in all of Washington! Here’s just one of their many five-star reviews? “Amazing company! Jim, the owner, came out and provided me with a quote to roof a new addition on my home. [The] price was very competitive. He made sure the new roof matched the existing roof (a not-so-easy task that he handled with ease). The install team showed up promptly and were very professional and courteous. Great customer service all around from this company. I would recommend Jim and his team to anyone! Thank you, Skagit Roofing!” – Jay D.
Outside of building a powerful online reputation, Skagit Roofing has gotten their name out there through billboards, their website and Facebook primarily. They are also very involved in their community, and some of their Facebook campaigns are even geared toward helping their community. For example, they did a campaign for Meals on Wheels where they donated a dollar for every ‘Like’ they got on Facebook. 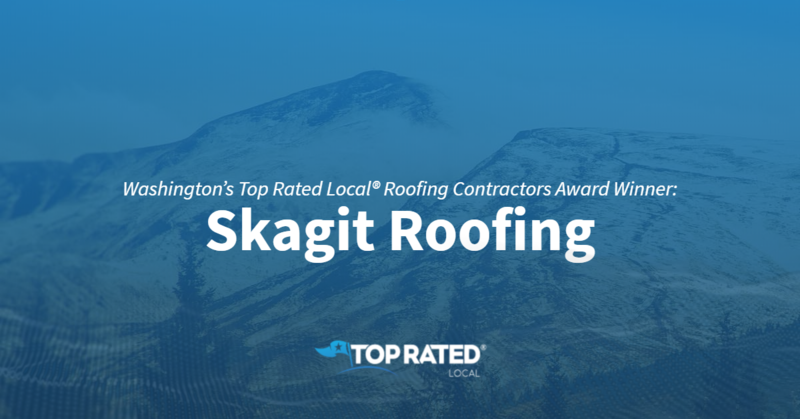 Congratulations to the team at Skagit Roofing for being a 2018 Top Rated Local award winner, and thank you so much, Ty, for taking the time to speak with us! For all of your roofing needs in Bow, we highly recommend working with Skagit Roofing. Visit their website today!